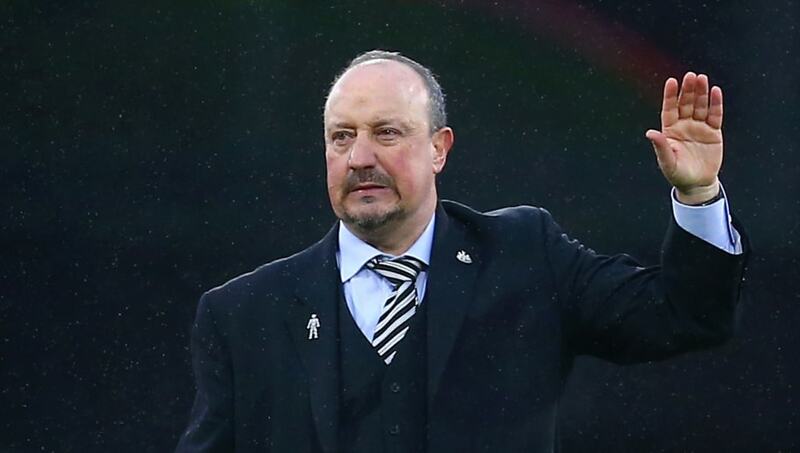 ​As Newcastle seem destined for another bottom half league finish, club officials are preparing a new and improved contract to keep hold of Rafa Benitez amid Chinese Super League interest. With Benitez's current contract winding down, the Magpies are undoubtedly keen to tie the Spanish manager down to a long term contract. ​According to reports in the Mirror, ​Newcastle are willing to offer Benitez a new £15m, three-year deal, that would give him the opportunity to continue developing his squad. In order to keep hold of Benitez however, there is reportedly the need to give the manager a war chest ahead of the summer transfer window. After their ​2-0 defeat to Arsenal on Monday night, Benitez has called for an increased transfer budget to help bolster his attacking options; a request that might be definitive in whether the former ​Liverpool and ​Real Madrid manager chooses to stay. Newcastle have completed 20 passes in the Arsenal half. Mesut Ozil has completed 21 passes in the Newcastle half. ​Speaking to Sky Sports after Monday's defeat, Benitez said: "We have been speaking all season, the final third is where you can spend £40-£50m, or £75m on players." With on-loan striker Salomon Rondon only scoring nine times in the ​Premier League this season, Benitez will surely only accept a new deal if he can bring in more attacking talent this summer. Having already broken the club's transfer budget to sign attacking midfielder Miguel Almiron - for an estimated £21m - Benitez is already showing glimpses of his desires to spend and invest. Newcastle face ​Crystal Palace on this Saturday, and will be determined to get three points in front of a home crowd.